Doc, the height gain of my 6 year old daughter is not in proportion to her weight gain. I have observed that the other girl of her age are 3 to 4 cm taller than her, and many of those kids’ parents have the same height as mine and my wife's. Is this a cause for concern and should we see a doctor? She is currently 112 cm tall. •	Single reading is inadequate for child growth assessment. To evaluate the growth pattern in a child you need series of height and weight records at regular intervals. •	Visual comparison of children does not work!!! You too have mentioned “many” and Not all. Height gain in children is an outcome of several individual factors. Plot individual child’s weight and height measurements taken at regular intervals on percentile growth chart; and then observe if child follows her own unique growth curve. •	Individual causes for growth variation can be evaluated only with the help of well maintained growth chart: You can upload your child’s growth charts as graphics along with the question asked. •	Discrepancy in height and weight gain if constant over a year click here for the recommendations. 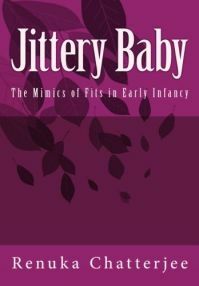 •	Also review the factors that influence inherent growth potential specifically for your child. Most certainly YES. The evaluation at pediatrician’s office can never be overemphasized. But be sure to take along adequate data on your daughter's growth pattern. Inadequate data fed will give inadequate results. Feel free to continue discussion by posting comments. All visitors to the page are welcome to leave their comments and to participate in the discussion.